I thought my journey with Can You Hear My Heart? (2011) was over some months back. I even tweeted “best ending ever” as soon as I was done with the final episode. But this morning as I was brushing my teeth (must be a magic toothpaste I’m using since I tend to get most of my harebrained bloggy inspiration this way), a little bird outside the window told me that I still had unfinished CYHMH business. Did I not sense (especially in the last two days) that some TP readers want to (need to!) talk some more about this gem that’s a shoo-in for best drama of the year? Because there’s still so much that needs to be said! Wait, don’t roll your eyes yet. I know it’s premature to go out on a limb so soon, given that we are still in June and I’m woefully behind on not just the May dramas but most of the ones that came before. But this post is not about how many One True Pairings I’ve seen in 2011 but about the one that’s wormed its way into my heart. The OTP that I love the most this year. Given the maelstrom that was May when six new dramas joined the fray and caused many a kdrama addict to flail in “so many dramas, so little time” despair, I need another crack drama like Shrek the Sheep (RIP) needs more wool on his shaggy seven-years-evading-the-shears self. Yet in the last three days I’ve watched twenty episodes of an April drama. And become hopelessly addicted, egads. 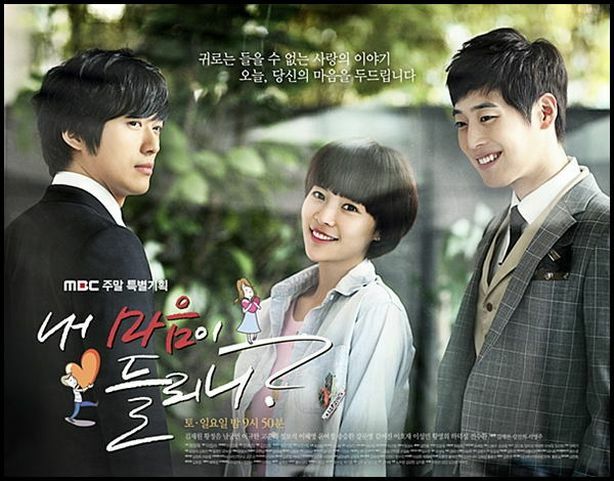 If the remaining yet-to-air ten episodes of Can You Hear My Heart? retain (or even surpass) the quality of the first twenty, then it will likely be my drama of the year. Sorry it had to be me, folks. I’m just as gutted that we couldn’t have Ockoala coming back after her amazing, amazing mid-point review. But since no one else was up for it, I was not going to let Giant go without a wrap-up review. Guess this is far from being an epic review but what I will do, in this review, is try and pay justice to what was an absolute epic, ha! Giant is one example of how a show of colossal magnitude can remain firmly grounded. There was a glowing warmth and tastefully instilled wit in the midst of the devastating human tragedies that shaped this tale of rags to riches, revenge and one man’s rise to power. Let’s start this review off with a bold proclamation. After watching the first 24 episodes, I am unequivocally in love with Giant. With that said, I shall attempt to justify my sentiment with a semblance of reason and logic (but if you look at that kiss above, I think it says enough by itself). 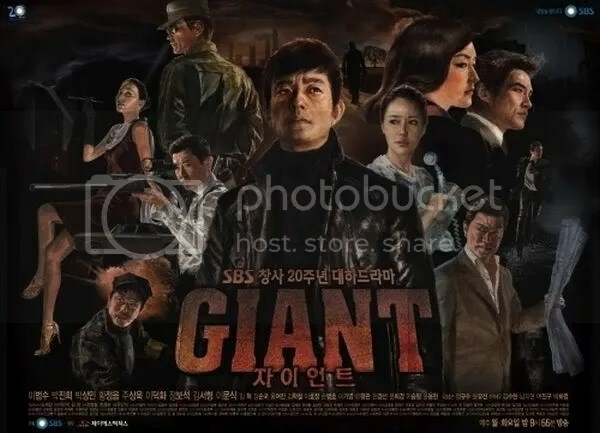 The first thought that sprung to mind as I watched Giant (SBS, 2010) was that I had seen the drama before. It felt familiar, but not the kind of familiarity that envelops you like an old friend or a childhood haunt. No, it felt like a dreamscape where scenes from a dozen disparate places assail you all at once. I tried to shake off the thought, but it grew stronger. An opening scene felt like an eerie blend of two long-forgotten scenes from Oldboy (the confrontation) and… Batman (that grotesque make-up). A nondescript office looked just like the tabloid office in What’s Up, Fox; any moment I expected Go Hyun-jung to fling the door open. A group of boys shine shoes on the street and immediately I recalled Count of Myeongdong and… Oliver Twist. Most disconcerting of all, Giant had East of Eden stamped on it, even though I really had no reason to make that association, having watched just two episodes of the latter. That same East of Eden-esque feeling of gloom. Here’s the drama that I love to the moon and beyond. I previously wrote about it here. It is about a charlatan monk, with a wretched past, who will lay down his life for his king. It is about the monk’s sharp-tongued master, who sees beyond the visceral, who makes my heart hurt because I love him so much. It is a tale peopled by characters so flawed, so human, so unforgettable your heart soars when you see them in another drama.